Spring has not yet officially arrived, however, we’ve been having some major spring like weather here in the NY/NJ tri-stare area. Spring has got to be one of my favorite seasons. For me, the arrival of spring signifies renewal. The trees start to bud, flowers start to bloom and the air is nice and warm. During this time of year, I love to stroll around my neighborhood and enjoy the faint smell of spring flowers in the air. The arrival of spring also means it’s time for spring cleaning. It is when I take the time to do a real thorough cleaning of the entire house. It is also a great time to freshen up your living space. 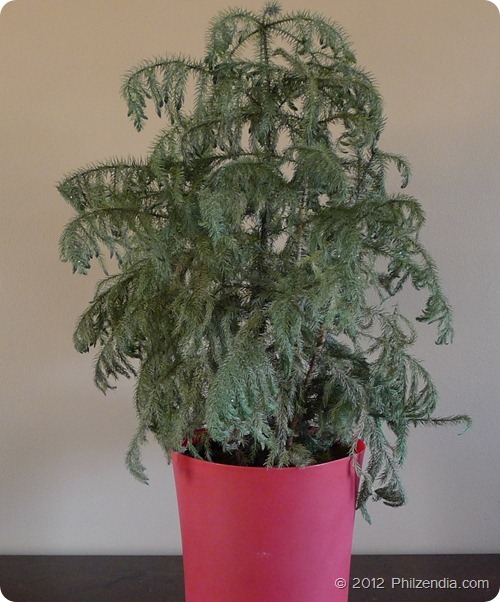 This year, because of all the spring-like weather we’ve been having, I decided to start freshening up the house early. After taking a few walks with Z.E.N. and noticing that flowers are already starting to bloom, I felt giddy and wanted to springify my home. To recreate the subtle smell of flowers blooming, I wanted to introduce some scent in my home. In my opinion, scent uplifts and refreshes an environment. So I decided to invest in some air fresheners. Philip is absolutely obsessed with air fresheners. He buys them a lot, but for some reason he hadn’t purchased any in a while. 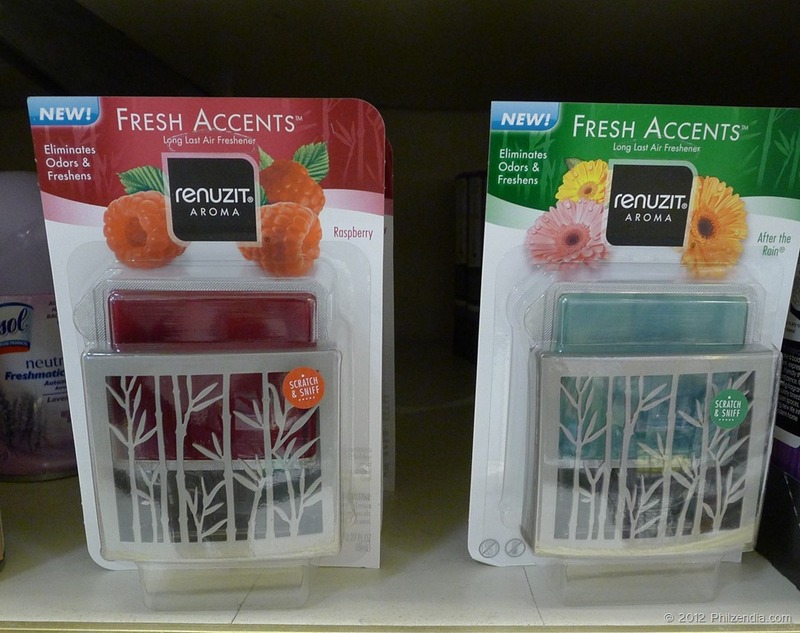 I recently heard about the new Renuzit Fresh Accents air freshener. 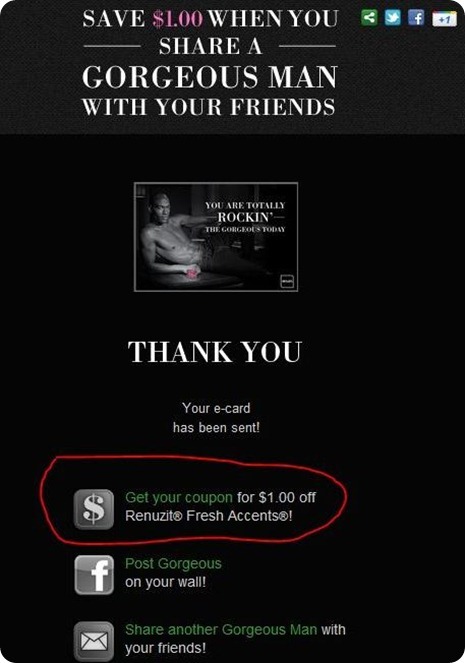 I found a $1.00 coupon on the Renuzit Facebook page which was activated after sending a gorgeous e-card to a friend, and headed out to Shoprite to purchase some. Not only did I save money on air fresheners, they are a great way to freshen up your living space. I purchased the raspberry scent because the colors would match my décor and I wanted a sweetish smell. You can see my whole shopping experience here. 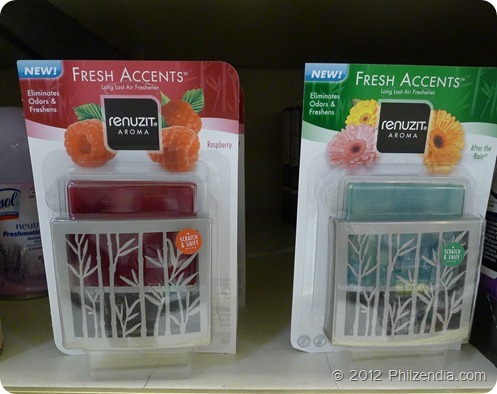 The Renuzit Fresh Accents air freshener is very compact and looks stylish so I think it would match just about any décor. It is also very inexpensive. Buying the air freshener was not enough though. I still wanted to do more to freshen up the place. I didn’t want to spend a lot of money so I brainstormed and decided that a great inexpensive and easy way to freshen up a living space was to invest in some common house plants. 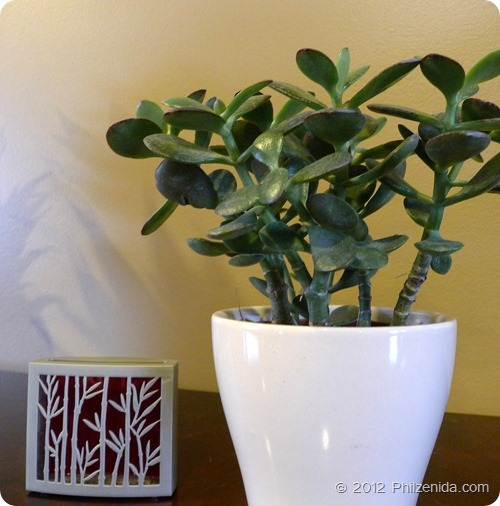 Plants are an easy way to bring nature indoors. I love plants, but I don’t have the greatest track record when it comes to plants. The plant in this picture is just about all dried up . So I did some research to determine if there were any plants out there that were easy enough for a person like me to take care of. I found out that there were tons of plants that could fit the bill. I made a list of the plants and headed out to Lowes to see if I could find some of them. I wound up purchasing 3 plants and 3 decorative pots. 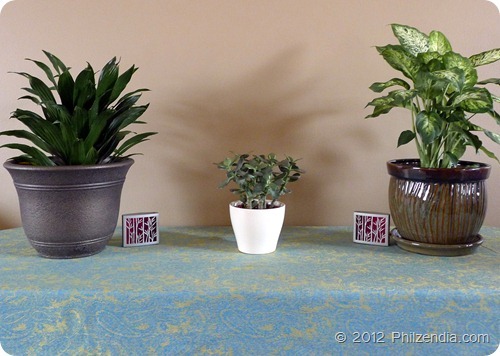 I purchased a Dracaena, Diffenbachia and a Jade plant. What are you doing to freshen up your living space? I need to pick up some indoor plant for my house. It has been way to long since we’ve had any! This is the perfect time of year to get some. Thank you for a great article – well written and useful content. In terms of indoor plants, I would like to add couple of points to the ones you wrote. First of all – the greener the better. Plants produce oxygen and the more you have the better the is the air at your home. Secondly I would like to say, that it is wise to grow different herbs. First of all, herbs smell good and secondly, you can use the herbs for a tea or bath later on.